Today is World Prematurity Day, a day set aside each year to honor the tiny warriors who fight for their lives because they were born prematurely. 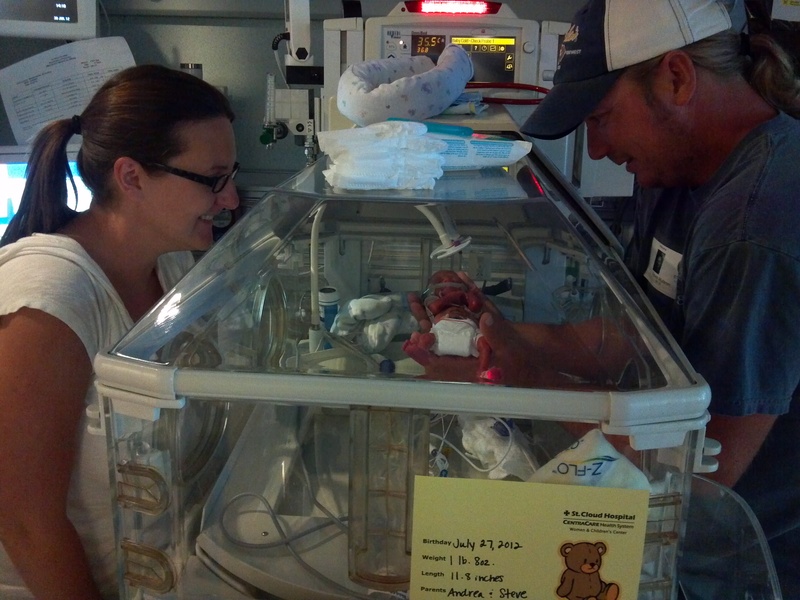 When Jax was born at 23 weeks 3 days gestation, he was given a 4% chance of healthy survival. Each year, nearly 1 million babies die from complications related to preterm birth – the single largest cause of child mortality worldwide. Our son fought. He showed us the true meaning of hope. He introduced us to Guardian Angels. We got to take our son home. He’s happy, funny, and is snuggled up right now in his “nest” made of three blankets and six pillows. His little belly laugh brings a smile to my face and I know how absolutely lucky I am to hear it. I had hoped we would be past this by now – I had hoped Jax would developmentally be caught up to his peers (he’s not). I had hoped he would not have any physical reminders of his early birth (his lungs are still weak from Chronic Lung Disease and asthma). I had hoped that we would be able to stop therapy (instead, we just keep adding more). I had hoped that we would be able to stop talking about prematurity all the time because it wouldn’t matter. It does matter. Now, even three years later, prematurity affects our lives every single day. Even though our journey has been scary, sad, isolating, and exhausting, it’s also been a huge blessing. I’ve met some amazing people who I never would have met if it weren’t for our shared experience with prematurity. While I wish none of us had to experience the heartbreaking reality of a baby in intensive care, healing is easier when we know we’re not alone. I’ve become more appreciative of the small things – the smell of flowers, the sound of the leaves in the trees, the feel of my son’s breath on my cheek as he falls asleep. Watching my son fight for his life taught me not to take anything for granted.